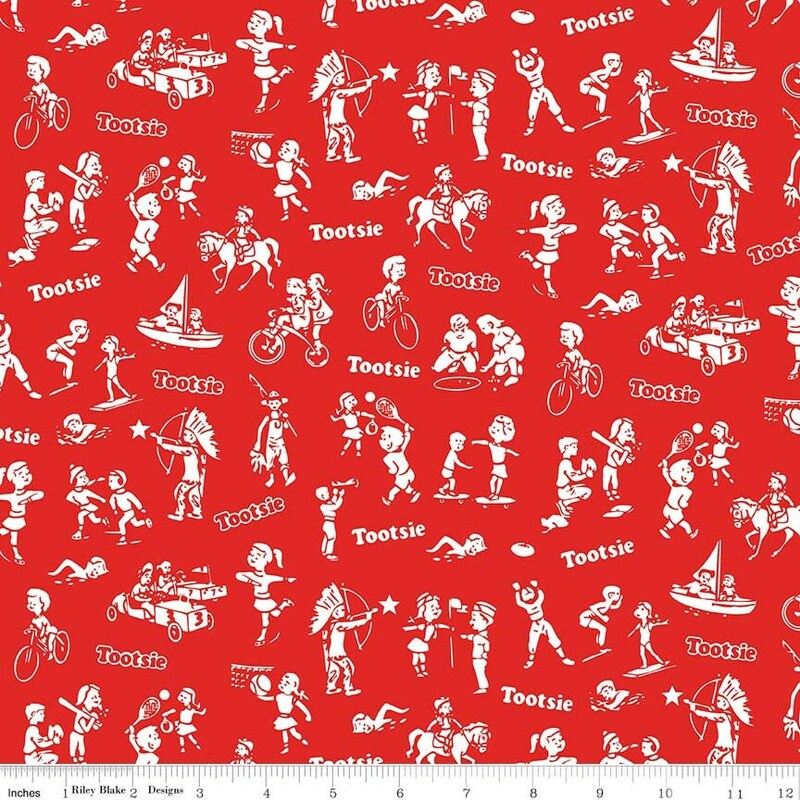 Riley Blake Designs, It's Tootsie Roll Time by Tootsie Roll. 100% cotton, pattern C6814-Red. Great and affordable fabric,arrived quickly.